AS: London’s Underground service is paralyzed by a strike today. It is, therefore, a good time to think about the history of subways. Through pure coincidence, the blog of the Harvard Business Review published an interview yesterday with the author of a new book that deals with the creation of the first subways in the United States. If you live in a big city, subways are a piece of the urban infrastructure you probably take for granted—until a strike or a mechanical problem reminds you that without these subterranean trains, getting anywhere can be next-to-impossible. 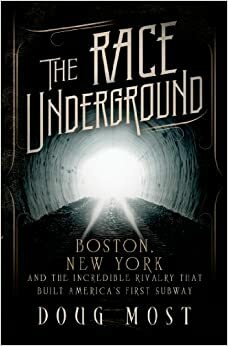 In “The Race Underground: Boston, New York, and the Incredible Rivalry that Build America’s First Subway,” author Doug Most chronicles the political, technical, and societal challenges that engineers, and the little-known sandhogs who dug these massive tunnels in Boston and New York, had to overcome to bring the first trains online more than a century ago. Most, a deputy managing editor at The Boston Globe, told HBR.org what lessons managers can learn from this history. You can read the interview transcript here. You can order the actual book here.